fet11 took take place at the Budapest Congress and World Trade Center (BCWTC) (H-1123 Budapest, Jagelló út 1-3.; phone: +361-372-5400, +361-372-5700). The BCWTC is situated at a charming chestnut park and provides an ideal atmosphere for the fet11 participants. 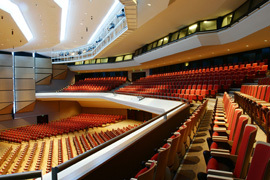 With its 20 meeting rooms, it is the biggest and most modern conference centre in Hungary. Block reservations for ƒet11 participants and accompanying guests were made at special rates at several hotels of different categories. As the number of rooms was limited at some hotels, participants were kindly asked to make th reeservation at no later than 31 March, 2011. Reservation had to be made directly to the hotel by using the reservation form of the preferred hotel. 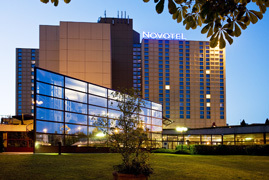 Most participants will arrive at Budapest Ferihegy Airport. Airport Minibus Service is reasonably priced (HUF 2990/person for one way, approx. EUR 11), comfortable and reliable. Another way of getting to the city is by taxi. The airport taxi has flat prices. Keleti pályaudvar (railway station): Budapest VIII. district, Baross tér; phone: +361-413-4610. For further information on schedules see the timetable of the Hungarian railway: MÁV-START Co.
All motorways and most of the main roads in Hungary start from the capital. M1, M3, M5 and M7 are toll highways. Road signs conform to continental standards. 24-hour assistance is provided by the Magyar Autóklub (phone: +361-345-1755), emergency roadside assistance is available by dialing 188. Boat services operate during the summer months (from April to October) linking the heart of Budapest with Vienna and Bratislava. International boat landings are situated on the Danube between the Chain Bridge (Lánchíd) and the Liberty Bridge (Szabadság híd). Information about Mahart PassNave Ltd. services on +361-318-6042 or on the web site of the MAHART PassNave. Citizens of the European Union (EU), the European Economic Area (EEA) member states and the following countries may travel to Hungary without a visa: Andorra, Argentina, Australia, Brazil, Brunei, Canada, Chile, Costa Rica, Croatia, Guatemala, Vatican, Honduras, Hong Kong (the exemption applies only to holders of a "Hong Kong Special Administrative Region"), Iceland, Israel, Japan, Macao (the exemption applies only to holders of a "Regio Administrativa Especial de Macau" passport), Malaysia, Mexico, Monaco, New Zealand, Nicaragua, Norway, Panama, Paraguay, Salvador, San Marino, Singapore, South Korea, Switzerland, The United States of America, Uruguay. Hungary is a member of the Schengen States. Visas and residence permits issued by one of the Schengen States are valid also for Hungary. On the other hand, visas issued by Hungarian representations abroad and residence permits issued by Hungarian national authorities are also valid for the entire Schengen Area. For further details, please, visit the web site of the Ministry of Foreign Affairs. The Organisers of the Conference do not provide insurance and do not take responsibility for any loss, accident or illness that might occur during the Conference or in the course of travel to or from the meeting site. It is, therefore, the responsibility of the participants to check their coverage with their insurance provider. The unit of currency is Hungarian Forint (HUF), denoted as "Ft" by the Hungarians. International credit cards (AmEx, EC/MC, Visa) are accepted at most hotels, restaurants and shops. ATMs are available at the Airport and all over the city. Public transportation (BKV) is extensive and reliable. Tickets - valid for one ride only - should be purchased in advance (e.g. at metro stations, hotels, news-stands, tobacco shops), since drivers do not sell any. The tickets should be validated (on board or at the entrance gates), and kept, since one must show them if requested by inspectors on board or at the exit gates. The junction of all the three metro lines is Deák tér. Service time is between 4:30 a.m. and 11.00 p.m. Most bus and tramlines operate until 11pm. You may consider buying a carnet of 10 tickets or a pass (for 1/7/14 days or for a month), or a Budapest Card, instead of single tickets. For current fares, see "types of tickets offered for tourists". Hungary is in the temperate zone, the weather in early May is is usually nice and warm. Daily temperature ranges from 20°C to 25°C (68F to 77F). The electricity supply in Hungary is 230 V AC (50 Hz). In Hungary the most commonly used plug is the "schuko plug" (Type F). Budapest, one of the most beautiful historical capitals in Europe, is situated on the banks of the Danube. 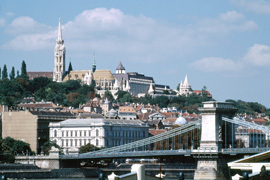 The city actually consists of three parts: Óbuda, the oldest section, with Celtic and Roman ruins, Buda in the hills on the western bank, famous for its historic Castle Hill and beautiful residential area, and bustling Pest with its shopping, governmental and commercial districts on the flat plain of the eastern bank. The architectural beauty with its monuments from neo-classic through baroque to eclectic art nouveau is prevalent in the city. 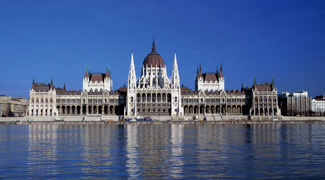 Budapest is also world famous for its artistic abundance of concerts, operas, recitals, galas and exhibitions. 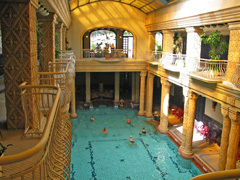 The city is also well known for its one of Europe`s largest bath complexes, in fact there is no other capital city in the world with almost 100 thermal springs and 12 medicinal baths within its boundaries, where 19 million gallons of thermal water rise to the surface each day. The atmosphere of Roman bathing culture may be felt in its light, spacious pool halls, while Greek bathing culture is reflected in the tub baths, but traces of Nordic traditions may also be found in the heat chambers, saunas and dipping pools. The warm hospitality of people, excellent food and wine, reliable and frequent public transportation, vivid cultural life, rich museums attract millions of visitors every year. Last but not least, one may unwind over strong coffee and sweet cake in an old, cozy café. There were more than 400 coffeehouses in Budapest at the turn of the 20th century, attracting everyone, and some of the best are still in business today. 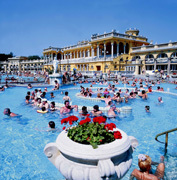 Hungary is undoubtedly one of the world most favourite tourist destinations. 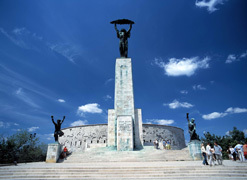 The Hungarian culture, music, art, architecture, spas, unique flora and fauna, national parks, cuisine and wine attract millions of visitors every year. The country boasts 8 sites, which the UNESCO has recognised as being worthy of protection and conservation as part of the World Heritage. 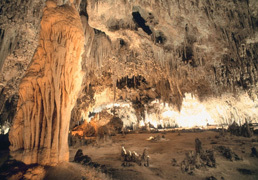 Four of them, the national parks of the Aggtelek karst with Central Europe's largest cave system, Lake Fertő, the wine region of Tokaj and the grass plain of the Hortobágy, are natural treasures. 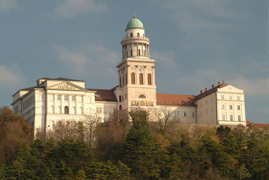 Other parts of our cultural heritage include the ancient Christian cemetery in Pécs, the one thousand-year-old functioning monastery in Pannonhalma, the view of Buda with the Castle and the Citadel on Gellért Hill and Andrássy Street with its surrounding historical area, and the little village of Hollókő, which has preserved its medieval layout, folk architecture and traditions.